Having a newborn is a lot of hard work, especially for first-time parents. Anticipating a new child often puts a lot of stress on parents to focus solely on surviving the tough first few months. How will you balance work and parenthood? Which foods should you buy for the baby? What are the best ways to put a baby to sleep on time? It can be easy to forget to appreciate the beautiful journey, and to find ways to have fun and explore the world with your newborn. For this reason, we have outlined some of the best ways to appreciate the fleeting time you have with your newborn before they are all grown up in the blink of an eye. Here are some fun, easy activities to do with newborns. Your baby’s first inclination will be to explore and learn! Textures, sounds, and sights are all exciting components of living, and this joy can be shared between a parent and child despite the age difference. Try making a playlist of some of your favorite age appropriate music and enjoy some tunes with your baby while you relax. Listening to music doesn’t require money or an exorbitant amount of prep time, and can be done right at home. The best part about this activity is that it allows you to share a part of yourself and what makes you happy with your new child. Your favorite songs can become their favorite songs that help them to fall asleep or relax. Being a parent and spending time with a child that is so young can feel isolating at times, which is why this activity is so great. It allows you to be your adult self and to enjoy a bonding activity with your child at the same time. In addition to making a fun playlist with songs for your baby to rock out to, engaging the other senses can be fun as well. Toys and blankets that move, make noise, and feel interesting are all fun things to do with your newborn. Many parents buy these toys with the intention of them entertaining the child while the parent is busy. Playing with these toys with your child though can be great for their education and your relationship. Showing a child how to explore the world around them and how to find different uses for items is a wonderful way to jumpstart their problem-solving skills and curiosity. When you buy a new toy for your child, play with it with them and help them use their senses to discover all of the qualities and abilities of the item. While it can feel like games are too old for such a young child, there are plenty of simple games with minimal rules that can be played with even the youngest babies. These games can help children work on developing skills and coordination, and to help them learn lessons and practice problem solving. They can also be a great way to laugh and have fun. Some of the most fun things to do with a newborn involve letting them utilize their brain to its fullest capacity. Hiding games are fun because they allow your baby to work on their object permanence. One of the most popular hiding games is the classic pastime “peek-a-boo.” If you don’t remember this from childhood, I’m sure your parents sure do. Simply hide your face behind your hands, a cloth, a blanket, a book, or whatever is in front of you. Wait a moment for your baby to wonder where you’ve gone, then pop back out and reappear, shouting “peek-a-boo!” This often startles the child and causes them to laugh. Just as we laugh at a shocking physical gag or laugh with relief after a playful scare, your baby is sure to love peek-a-boo. One of a newborn child’s strongest instincts is to mimic or imitate. Use this to your advantage with fun and silly mimicking games! Simply begin with gibberish phrases, words, or just sounds. Repeat them to baby and have your child repeat them back or respond. Reinforce their response by mimicking or introducing a new sound. This activity is silly and often induces giggles and of all the things to do with your newborn, this one is certainly one of the funniest. It is a great way to bond with your child and strengthen their communication and observation skills. Don’t let precious moments slip by without saving them. There are many ways to preserve the magical moments of your child’s early life that can be easy and manageable with the rest of your busy life. Rather than spending money on an expensive camera, or wasting time and energy attempting to get the perfect shot of your baby on a smart phone, hire a professional to take some magical shots of your baby while they’re still young. Infant photography isn’t always easy, but when a professional gets the right shot of your precious child it can be the perfect gift that keeps on giving. Looking back on these pictures helps you relive those early moments. Gorgeous professional photos of your chubby-cheeked cherub from Silver Bee Photography can also be great gifts for friends and relatives over the holidays. Keeping a log of all of the cute things that your child did and said is a great way to fill in the gaps of the times you didn’t have a camera around. Not every moment will be immortalized in film, but with a journal, even past moments can be written down to remember and smile about later. Your child’s first word, their first piece of cake, and how they looked in their first onesie can be described in detail in the pages of a journal and remembered for years after. You can even buy specialized ‘baby books’ with pages for all of the important milestones. A picture is lovely – but it doesn’t capture the entire story. A journal in companion with a photo album means you can write about what happened that day alongside it, so no wonderful childhood memory is ever forgotten. 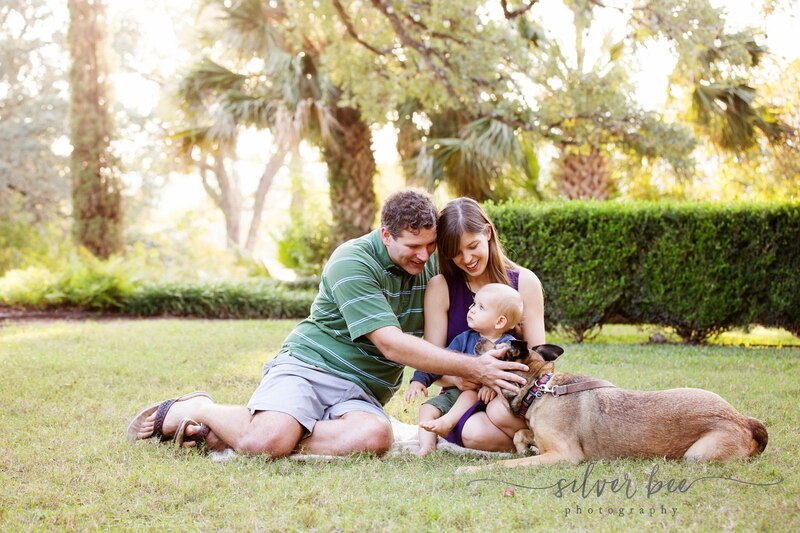 At Silver Bee Photography, we would love to help you celebrate and remember all your child’s first moments. Contact us today to schedule an appointment and get started! We would love to help you capture those magical moments with your little one so that the whole family can remember those first breathtaking glances at your newborn baby.